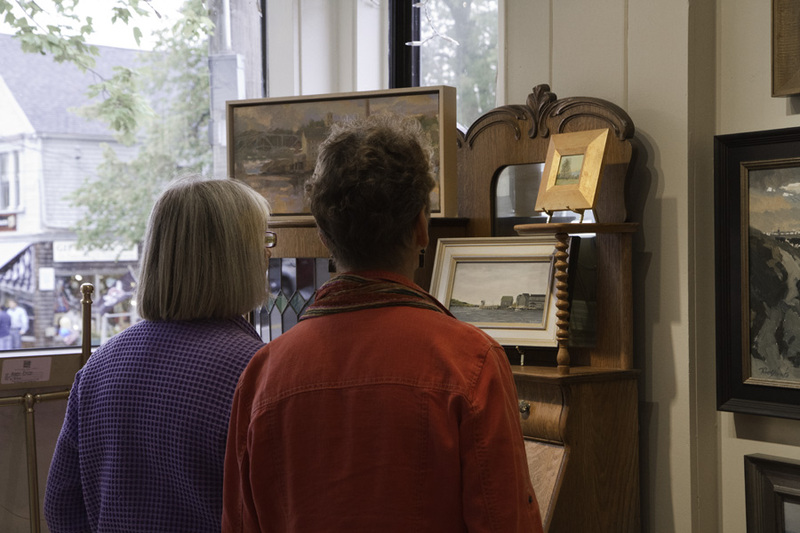 Wiscasset Village is home to a collection of artist-owned galleries featuring high quality paintings, assemblages, sculpture, and prints by local, contemporary, and historical artists. Sylvan Gallery represents some of the finest contemporary realist artists of New England. Many of the artists working in oil, watercolor, and pastel have won significant national awards and accolades. The common thread among all the artists is their high degree of technical skill and craftsmanship and their passion to create their own unique visions of the natural beauty that surrounds us. Wiscasset Bay Gallery’s spacious exhibition galleries, wide pine floors, and brick-lined walls showcase fine American and European paintings from the 18th, 19th, and 20th centuries with an emphasis on Maine and Monhegan Island artists. Changing exhibitions of contemporary New England and Maine art are also featured on a monthly schedule. Open daily 10am to 6pm. Offering rare and unusual items and works of art, Ingram Art & Antiques carries a lively and exciting assortment of contemporary paintings, bronzes, antique, mid-century and contemporary furniture, ancient Chinese objects, Neolithic and other antique pottery, high quality antique Oriental rugs, fine jewelry, Steuben glass, antique pool tables and slot machines. Representing nationally prominent artists and many other exceptional artists and sculptors, some emerging, some thoroughly established. Summer hours 10-5. Miss Harriet Early by Alfred Jacob Miller. James L. Kochan Fine Art & Antiques takes pride in its record of accomplishment in guiding and assisting private and institutional clients in the building of important collections of American and British works of art and important artifacts from the period 1700-1850. The gallery specializes in maritime, portrait, landscape, and military artwork and offers superlative works by some of the most important painters and artisans working in 18th and 19th centuries. In addition, the gallery exhibits ship models, marine artifacts, and antique arms, as well as early American manuscripts, engravings, and rare books from the same period. POP-UP Gallery at 64 Main St.
June 28: An exhibit featuring the art and crafts of students from Wiscasset Middle High School.